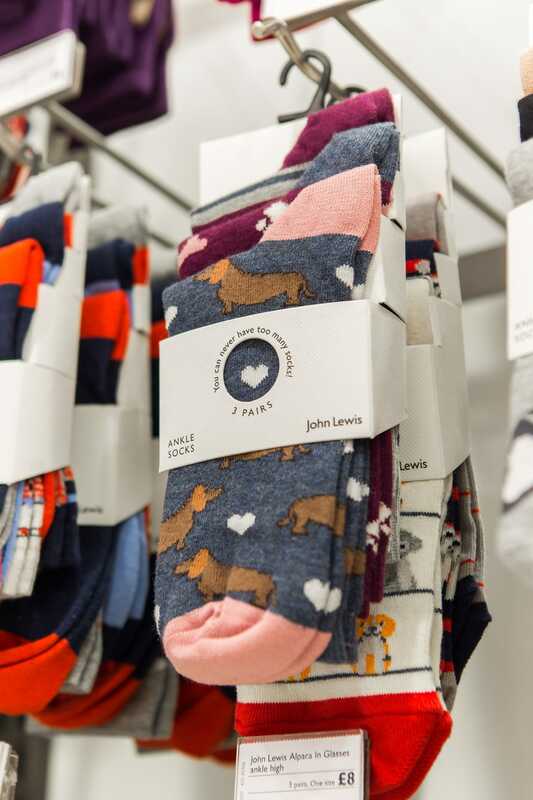 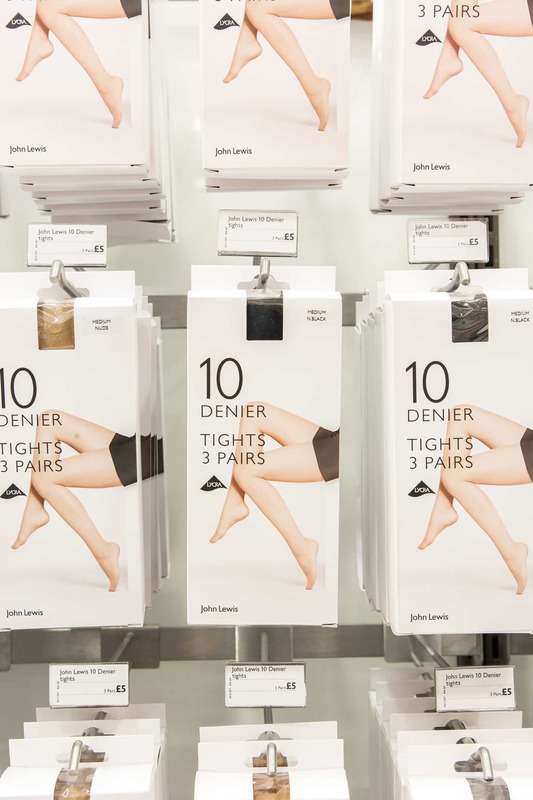 Packaging and art direction for John Lewis’s Hosiery range. 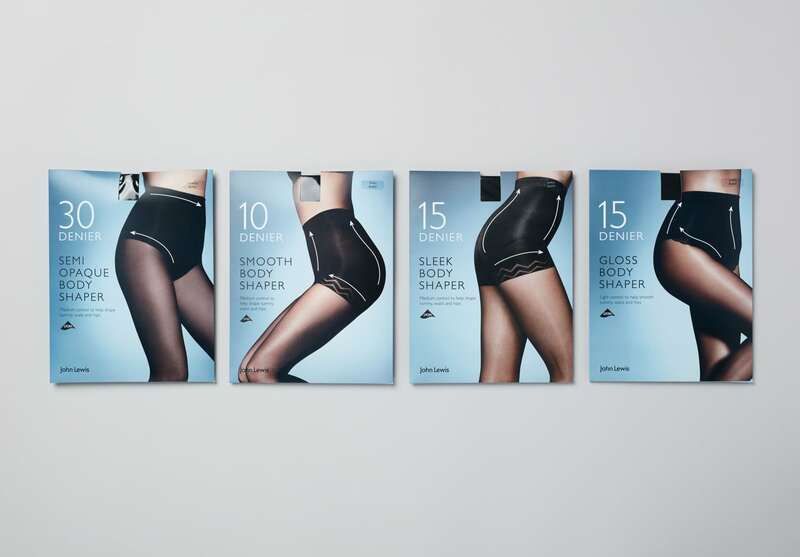 The range spanned their premium and core ranges, which also includes their ‘Bridal’ and ‘Maternity’ products. 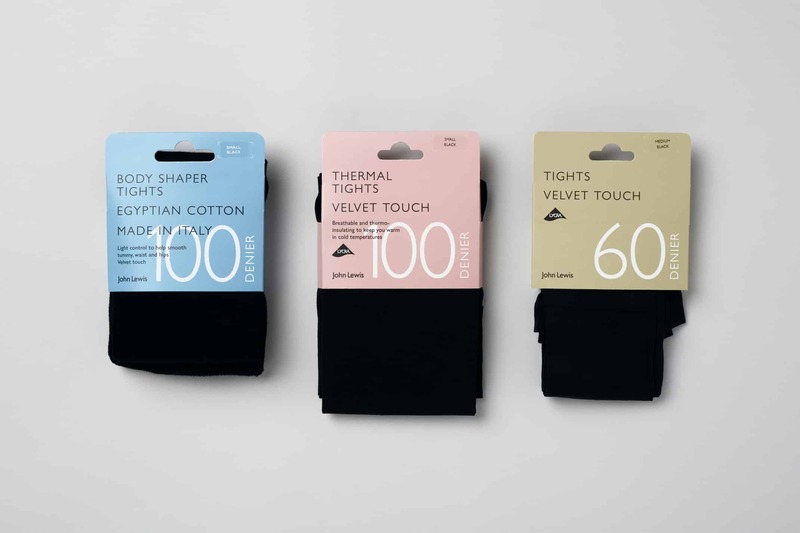 We designed the packaging to reflect both the price architecture and product variation within the range. 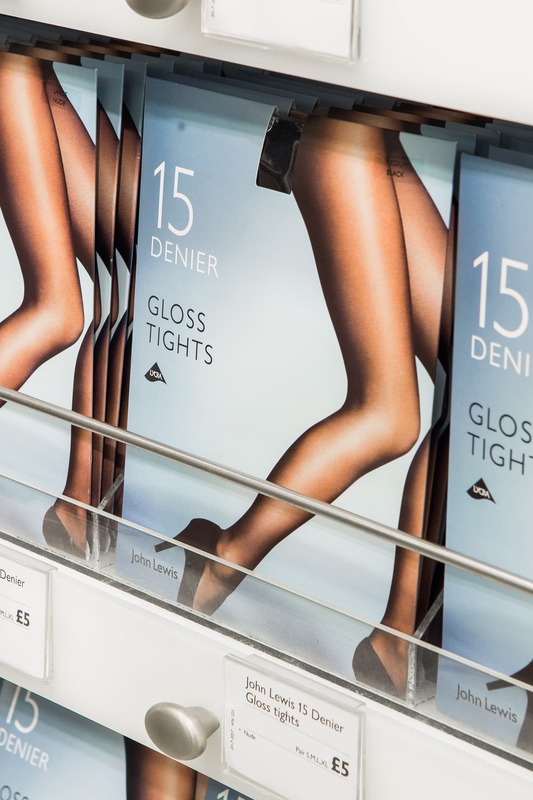 Colour was introduced to the more premium packs and is used as a way to distinguish between the different ranges, as well as to introduce some colour to the shop floor. 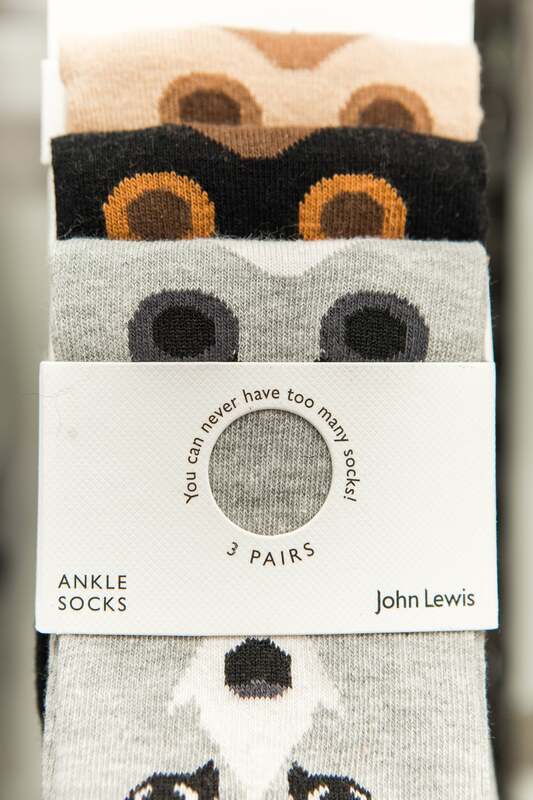 As part of the brief, we were also asked to refresh the socks packaging. 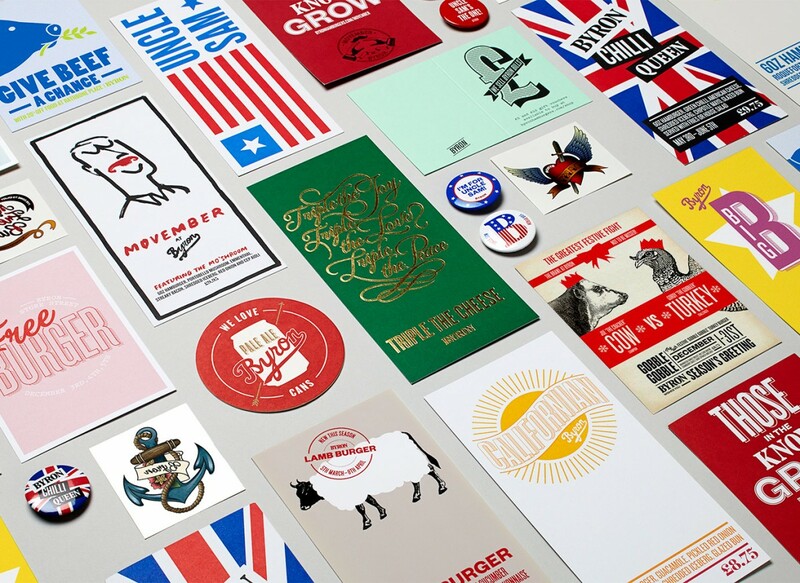 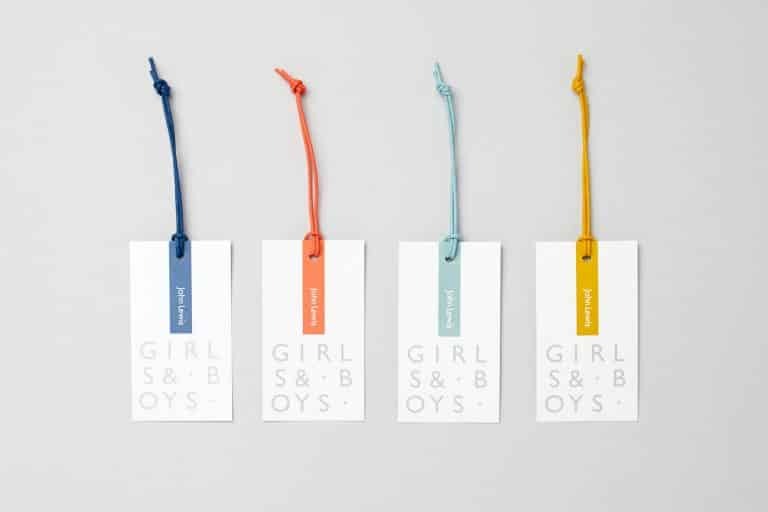 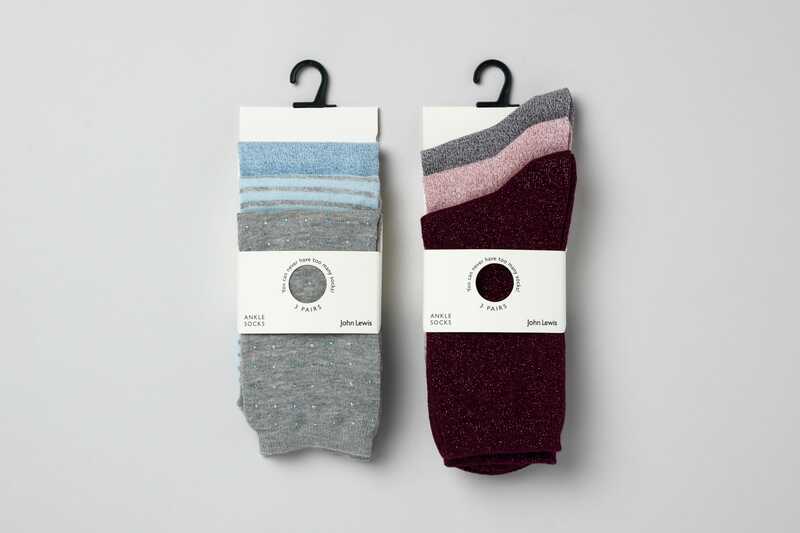 Different stocks were used to differentiate the mid-range offering from the more premium socks, and a circular die cut was introduced to showcase the patterns used within the fashion range.